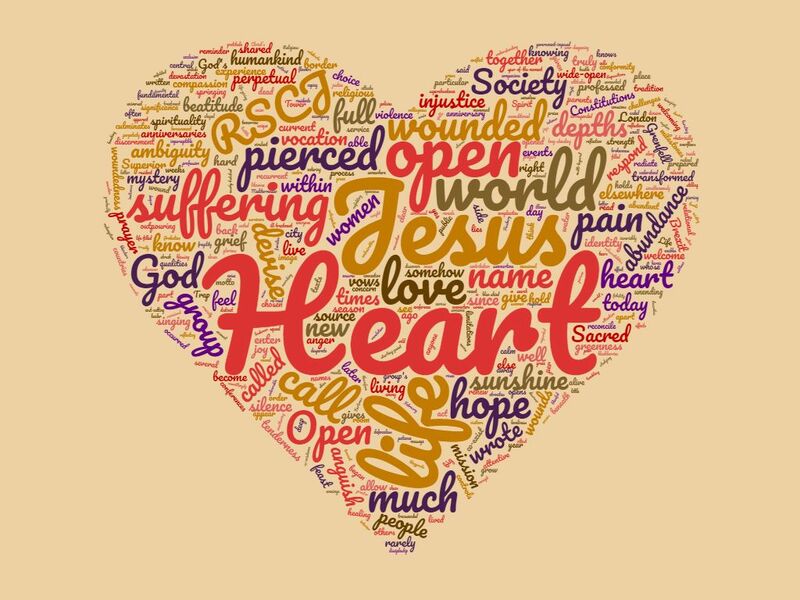 Woven through last month's posts, two interwoven themes predominated: the suffering, injustice and pain of our world, and the open, pierced, wounded Heart of Jesus. I call them two themes, but for us RSCJ they are inextricably linked, each one an entry point into the other. As our Constitutions remind us, The pierced Heart of Jesus opens our being to the depths of God and the anguish of humankind... and it is this anguish which returns us to the pierced Heart.